Work for Capture One Pro? "Not for everyone, but essential for the commercial photographer. " Raw processing is amazing in this software, and there is no other software in the marketplace that makes tethered shooting as much of an ease. While there's absolutely a steep learning curve, once you learn the ins and outs of this software it's a huge asset. Some of the best perks are the ability to convey more information to offsite teams- such as being able to set up a Capture Pilot session for an offsite art director, or being able to send layered files to a retouching/editing department with annotated notes. I've never used software that handles adjusting colors so well. There's not an ideal solution for when a session or catalog becomes corrupted- I've managed to fix them several times, but it doesn't seem like there's a reliable solution. While this isn't the end of the world for my workflow, it has held up shoots before. In addition, the tethering can be quite fussy in regards to needing specific cords and power boosters, which is especially obnoxious with the new MacBooks, but not the end of the world. I really wish layering & masking in this software was enhanced as well. As mentioned above, the color abilities in C1 are so superb, but unfortunately masking is so awkward that it's not always an efficient software to make chances in. It's somewhat expensive, but send yourself or someone on your team to become Pro Certified. It's $500 and comes with lifetime updates to the software and really teaches the ins and outs, and ideal setups for tethering, file organizing, etc. You become certified for Phase One medium format cameras at the same time, but it's very worth it. Also, stop comparing it to Lightroom- they're completely different once you learn more about each. Primarily organization and workflow enhancements. The raw processing is really superb compared to Photoshop/Lightroom, IMO. "Best Software for Professional Photographers"
Everything about this product is to be appreciated. It's single-handedly the best software for photographers to capture, tether, color, organize, and just about anything else within a given workflow. The control of working with RAW files in the color editor is especially strong. The pricing - I wish it was slightly less. Trial the program for 1 month, and follow along with CaptureOne's tutorials to help introduce you to the powerful tools it has to offer. Some might be completely unaware of the power behind the program, and PhaseOne has helped to layout all of its potential. This helps create a perfect workflow for my photography business. Capturing, tethering, organizing, adjusting, coloring, etc. "Switched from Lightroom and can't be happier - support could be better"
I have my Capture One Pro catalog on a computer residing on an external harddrive, this is a networked drive on both my Laptop and my desktop. With Capture One Pro I can easily pick up where I left up on my laptop whenever I want by closing out of the program, and opening up the catalog through the network. It's super fast and responsive when working on my computer even with super high-res 80+MB RAW file sizes that the Sony A7RII produces. Batch export allows for you to run multiple processes at once, so you don't have to run one batch at one preset at a time (like in Lightroom)... this saves tons of time as I can click once and walk away. Their support on Facebook and their website has been less than satisfactory. There was an issue with my license once they switched to version 11 and the amount of back and forth to solve my problem was way to much. There was also a price increase from Capture One Pro 10 to Capture One Pro 11, and the cost to upgrade is pretty unreasonable compared to the full price. "This is the ONE for professionals"
The precision and accuracy of Capture One Pro gives me the tools I need for creating the art/photography I imagine. There is a bit of a learning curve for knowing how things work, but after you figure it out, you'll wonder why you didn't start using Capture One Pro earlier. Try before you buy to make sure you are willing to commit to taking your images to the next level. The composite feature of allowing me to overlay an image when working on location verify lighting and perspective is amazing. The efficiency in getting the colors I need with the multiple color options helps in times of a quick or intense edit, but both options provide client satisfaction. The tethering option has been a must and allows me to work with all camera brands and formats. "Powerful Program, Needs some Streamlining and Support"
The tethered shooting capability is really top notch. Creating and customizing styles has streamlined our production process in a way that we couldn't achieve with previous software. Extensive color editing and batching tools. Supports multiple image formats. Not optimized for Windows. We bought some Capture One 10 licenses (upgrading from C1 9, which was upgraded from C1 8) only to discover there is a fatal glitch that doesn't allow you to process your changes on Windows. Works fine on Mac. We have been in contact with Phase One and have had zero results. Hesitant to upgrade to Capture One 11 for fear this issue will persist and leave our PC users unable to use the program. GET A TRIAL FIRST. This program is intense. You need a trial period not only for the steep learning curve, but also to verify the software will even work on your machine. It is a memory hog, especially if you're using it for tethered shooting. We used to use Canon DP II for tethered shooting, which was faster but had far less image optimization capabilities. Capture One allows us to make batch edits before sending the photos out to our retouching team. This allows us to maintain a level of consistency we had trouble achieving in the past. After performing some tests with tethered shooting in Adobe Lightroom we've also concluded that only Capture One really gives us the speed we need to keep up with our production timeline. Controlling the camera actions through the app is a key feature. When I'm not able to actually get to the camera, I can change shutter speeds and f-stops easily. The layout of how Capture One stores the files very useful, having all the shot files in the capture folder, processed files in the output folder etc. Even the deleted files go to a special trash folder and don't reply get trashed, making it easy to retrieve any file you may have trashed accidentally. Not much I don't like about Capture One. There are some tethering problems that occur occasionally but after a reset of the camera and the app it's usually solved. It also does seem to like to crash unexpectedly which puts your session and photos in danger of getting lost. Most photographers combat that by having all files sent to a backup drive while shooting minimizing the chances to lose all files. Capture one stores all your files from your shoots and keeps them organized for easy browsing and processing. Making adjustments and putting curves on your raw files is very laid out and easy to achieve as well. Also a great program for when shooting to a CF card and downloading files later to a new session or a previous session. I've been working in the professional photography industry since the beginning of digital and Capture One is the professionals choice for tethered camera shooting. Not really solving any business problems and the benefits is having all photo of one particular session in the same location every time. "Highly recommended! A perfect companion to Photoshop and other editing software." The organization and cataloging features are really nice, I like how it sorts each session into "Capture," "Selects," "Output," etc. It is really helpful for organizing and keeping track of photos. Also, the tethering function is a lifesaver. I love not having to touch my camera if I want to change a setting mid-shoot. Accidentally moving the position of the camera while trying to adjust a setting once it is set up and focused correctly is a nightmare. The tethering allows me to change the settings with a few simple clicks on the camera. If I want to see how a photo might look with a few adjustments I can start to edit it right after its been captured; there is no need to open other software. Once I am done with a shoot I can make as many copies (or variants) of each photo as I want. If I have retouched a photo in a certain way I can then make variants of those photos as well. In regards to the quality of the retouching capabilities, I still use Photoshop for a decent amount of my retouching work, but Capture One definitely has some strong points. Overall the High Dynamic Range (highlights and shadows) works much stronger in Capture One. The sharpening tools are more sophisticated than Camera RAW and don't seem to leave the images as grainy afterwards. I also highly recommend taking advantage of the Keystone tool for any photos that look crooked or as though the plane of reference might be off. I also should mention the selective color tool is amazing. It is so much stronger than anything you can do in Photoshop. Once you have edited your photos you can easily output them to other programs such as Photoshop. While the masking tool has some nice capabilities that might take a little longer to complete in Photoshop, I don't think it is as user friendly. I still do all of my masking and layer work in Photoshop. Capture One allows me to have better organizational skills, and make faster edits to photos. I can take a photo and make adjustments right away, thus being able to send a prototype to a client much faster. "Best RAW workflow and Tethered Capture software on the market." Incredibly powerful and versatile. Great colour fidelity. Fast and intuitive. Stable and reliable. Great default folder set up for creating sessions. They have thought of everything with this software. Not much really. The default layout with a filmstrip of thumbnails running along the bottom of the work space is horrible and too much like Lightroom, but this is easily reconfigured. I keep all my tool palettes left of screen with the large central area devoted to my image and all my thumbnails arranged on the tight of screen. This tool is great. It's laid out in a logical way, just click through tabs as you work through your workflow. You have the option of customising tools and palettes to suit the way you work too. Great for beginners because it makes so much sense, and great for advances users too with lots of advanced tools available for the skilled user. Use it for professional tethered capture and processing of RAW image files. "Minimizing or Eliminating the need for Photoshop by using Capture One Pro"
Capture One Pro is an All-in-One tool when it comes to image acquisition, color-rendition, post-processing, and export. PhaseOne has done a phenomenal job in creating a tool that lets you virtually forgo a post-processing tool such as Adobe Photoshop. Capture One Pro is a tailor-made product for high-end photography outfits such as PhaseOne and Mamiya - and many others. PhaseOne has included everything that's needed for those cameras and lenses, including ICC and Lens Profiles for each back and most all available lenses for those two products. Capture One Pro also has a plethora of supported DSLR camera ICC Profiles and an equally extensible library of Lens Profiles to virtually use this tool for any type of camera / lens combination. Every now-and-then there are complaints about camera's not being supported or lenses not being in the supported list but what people forget is that a lot of these complaints are from people that actually do not use Capture One Pro for tethered shooting (in which case the body/back/lens marriage has to be supported). When a user shoots via an unsupported body / lens to a memory card, those "shortcomings" can be circumvented by simply shooting a high-quality White-Balance target and creating a custom lens profile via a generic pre-existing profile. Capture One Pro renders colors amazingly well and - even though some would like to disagree - will blow amateur tools such as Lightroom right out of the water. C1 Pro does have a steep learning curve which most Lightroom users do not like - they are used to a one-screen setup with very few (and basic) adjustment panes and become easily overwhelmed with the amount of adjustment-possibilities through C1 Pro. Capture One Pro is a tool geared towards the professional with high-end results and productivity in mind - however, do not expect to master it in one day (sorry Lightroom). Capture One Pro has two ways of purchasing their license, either via a subscription or out-right purchase or a full release - meaning Capture One Pro 6, 7, 8, 9 etc. Maintenance releases are always excluded from pay and are free - i.e. 9.0.1 .. 9.1 .. 9.3 etc. The release schedule has somewhat increased in pace and what used to be a fairly big span between full release has somewhat shrunk to a once a year (may be slightly longer) but its quality and production value outweighs the cost (which in the scheme of things isn't that much). PhaseOne does an exceptional job hunting down bugs and fixing them, however - since their programmers aren't in the hundreds it has happened that a bug has leaped through one or two maintenance releases. It's not too big of an issue for a daily user who can find his way around. Don't expect miracles (they may be somewhat possible); just because you Use the best tools out there doesn't mean the outcome will be the best at first. It's the same conundrum with people that buy Leicas and expect award-winning Fine-Art shots without an eye for composition. Capture One Pro is a beast - plain and simple - and you WILL need time to figure it out. There will also be plenty of times where you're fed up and frustrated because something was "just so much simpler to do" in Lightroom (which is the most common complain you read about in C1 user groups) - and honestly, if that's your go-to answer then you should probably stick with Adobe. PhaseOne has an amazing tech-support team that will bend over backwards to *personally* help you out - however, some people mistake the user forum as the tech-support and will get upset if no-one answers their plea for help. Bottomline, if you want great images you choose the best - Gear and RAW Processor. I use Capture One Pro as a daily workhorse as a commercial photographer and for private use. Its been THE tool we use from capture to getting files ready for press. We spend a sizable amount of money each year on professional printed catalogs, brochures, and post-cards, and C1 Pro can handle pre-press without any issues. 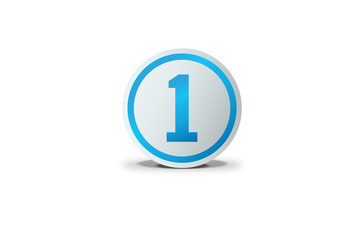 "Capture One "the only option for professionals""
The best feature in Capture one is the Color Accuracy. In the time of filters my packaging and E-Commerce clients still require color accuracy. Capture One is the best platform for these features while shooting tethered in a high volume work flow. The platform is stable with continual excellent connections to the camera when your moving and on the go. I really do not have a dislike. My main point I would make for improvement is in the application of setting to another image could use some redesign. For the quick application of image settings Lightroom has the best set up with the pop up window asking what do you want to copy and apply. Cap one is clunky in this area. Capture One has the cleanest output engines delivering crisp sharp color accurate images for my clients. Other softwares fall to the quality Capture One produces. I solve the image needs of commercial clients and art directors. I shoot with many people on set and they need instant gratification in the images I am capturing. They need to know we captured the moment, angle, color accuracy and detail before we move onto the next shot. When you work with variant, is not very clear the way do choose to process variant, original or both. Yes there is a button for it, which let you choose the processing options, but sometimes i still get confused about it. Maybe my fault :). Also the choice to create session and/or catalog is not very useful for me since i always use sessions anyway, but that's a personal choice. On Medium format images from phase one camera, when adjusting curves, the graphic board gets really affected and sometimes renders the image in blocks. I use a powerful Mac pro 2013 with 2gb graphic card, and still randomly i have this disfunction. Still it may be just my case. When working in E-com or high end it's just speedy. The workflow is flawless and the capturing speed too. "I dumped Lightroom for Capture One and it was aweosme. #ByeLR"
I quite enjoy the level of color control that comes with Capture One verses other RAW processing and file management soft-wares. I also feel that my tethering seems to be more stable than with other tether capture programs. I do feel like the RAW adjustments in Capture One can quickly push a photograph out of gamut, I also dislike that there is not a lot of "styles" available for Capture One like for example VSCO. I do wish that I could move files on my computer like in Lightroom, for example I can drag a folder in LR into another folder and LR will move the file on my hard drive for me. Capture One is a great program for people wanting to get into commercial photography, Lightroom is great for wedding photographer and portrait photographers. I felt like my images were softer or even out of focus in Lightroom which was strange as they seem to be sharper in Capture One. I also feel like my photographs felt like paintings when processing in Lightroom which was solved by Capture One. I like the various color correction tools Capture One offers. You can apply color adjustments locally by just selection a small rage of targeted colors. I like the highlights and the shadows recovery tool, it does a really great job, smooth transitions and great detail. I like the you don't have to Import the files into the Software as opposed to what you have to do in Lightroom when you are bringing new images in. It takes a while to load files. I shoot raw but my camera is only 23Mp. Sometimes it takes 5-10 minutes to load all the files in a chosen folder, until then the software doesn't let me work on the ones that have already been loaded. If you are a professional photographer who cares about the best image result for their client definitely consider Capture One Pro. It gives amazing results of Raw file processing. I do fashion, beauty and portraits photography. I love that I can do quick skin tone color correction with Capture One and send previews to my client before I go to retouching part. "Capture One in the Studio"
Capture One is a great tool to work thethered in the studio. Everything is very intuitive and easy to use, and the connection is fast and very reliable. Color rendition and processing detail are great and you get great technical features such as perspective corrections and lens cast calibration. Color readout tools and generally all technical aspects of the software are designed with the photographer in mind. It has very limited lens profiles for dslrs. If you own lenses from other than the main manufacturers brands you wont be able to get them corrected in raw. Photoshop integration is limited, not as good as the biggest competitor. It´s an excellent raw processor and the best possible tool to work tethered. Team work is very smooth and the results are great. We don't use catalogs, but sessions are great for a multi user company. I use the software in a multi user scenario and it works great. The EIP file format allows the company to have files moved from photographer to pos production with no loss of information. Using different cameras and transfering info between multiple users is very easy. All the studio workflow became very simplified and runs really smooth, beeing a 3/4 photographers studio, with 5 post production seats and a several gigabyte server full of images. "Best tethering solution for Photographers "
Capture One has the fastest tethering among its competitors. Great way to organize and set up a naming file structure for jobs and job numbers. With the new uptates you can make even more adjustments to the images while capturing or after so your RAW adjustments are already done before the final processing with photoshop or another image editing software. Capture One has had issues with disconnecting from the camera and having to restart the program but recently with new updates I have not had nearly as many issues as with earlier versions. It is a program with a lot of features and its very customizable which can make jumping into difficult and time consuming but its worth it. Try it there is a free download and take your time. There is a lot to figure out and its a program that is very customizable so figuring out how you want to set it up and your presets take a little effort and trial and error. Archiving is something that I didn't think would be effected by using a capture software but now even when shooting to a SD or CF card I import my images into a new session in capture one. By doing this I can name and number the session with a "job number" which is embedded in my meta data along with the image number. So searching for files is much easier. I now just look up the "job number" and it pulls the folders and the files up vs a random name or date and photo was taken. The live feed is great for when you're shooting. Clients love that they can see themselves and make adjustments accordingly. Also, curves and other edits give you more control over how much you want to implement in your images, better than Lightroom. The color wheels throw me off a bit, I usually use Lightroom which has lines instead of wheels, so it's something to get used to. And I don't like how the cropping works, it's very confusing to me compared to Lightroom's which seems more user friendly. Problems: nailing down skin tones in my images, it's something that I am still working on as well as making it consistent throughout my work. I also have problems with figuring set prices for my wedding packages. Benefits: Clients love the fact that I always bring a second shooter to weddings, and I seem to market pretty well. Instagram has been helpful in this area. "Total control over your image, amazing tool to communicate your vision to the client." It is an accurate and powerful editing software, very intuitive and easy to use. You have the opportunity to create numerous presets previously and apply them to show your client how you see the editing before sending it to the retoucher, you can even send the image to their Ipad the WIFI. Control over the different components of the image is very precise, highlight, shadows, exposure, etc. I like how it is organized, it is very easy to keep your archive in order. Sometimes the software struggles with tethering mode but just with one of my cameras, you have to follow an order to make it work and sometimes remote shot does not work. I don't like the workspace when you are working with two monitors. Saves a lot of Photoshop time. Gives you a quick vision of what you can do with the image and keeps your work well organized from beginning to end. "Best Software for RAW processing "
C1 is the best software for Raw development. The highlights for me are the way it interpret color and the options that provide to color adjustment. Also normally the Auto color Adjustment work great for most of the cameras. It gives a "real" color feeling to your images, with a natural approach. Also you have a lot of options to personalize yours workspaces. Compare with LightRoom is it not so friendly to star woking with it, and miss some great features that you have on LR. History work in a general level an not inside each file, recipes take a lot of info that you don't need, so you have to be very careful when you are creating to do not ad rating, and stuff like that. Also compare with LR is a little slow for editing and generate previews. Tray it. Is a great App. "The perfect product for fashion and advertising pictures"
Professionals know that to manipulate a raw file, third-party software must "interpret" the raw file as they do not have all of the algorithm unlike manufacturers. Capture One allows an extraordinary interpretation of the colors that optimizes and sublimate the photos taken in the studio or outdoors. Definitely the catalog. Not enough intuitive, loud. This is the bad point for this software and it's more easy to organize a catalog with another software like Lightroom. Capture One is a classic in a high quality and professional workflow. I use it since my beginning like most of the studios all over the world. "The best RAW converter on the market"
Capture One Pro comes with a very smart user interface (which improved a lot over the last few years), it offers many features that were only available in Photoshop not long ago. This makes the latest Version 9 even useable as a "stand alone PostProduction" solution. Most of all, the image quality you get out of the RAW files is amazing. The implementation of new camera models could come a little bit quicker. As a 30 day free trial version is offered, everybody can figure out if the software manages to do the job. "The best color and great tethering"
I mainly use Capture One Pro for commercial photo jobs. It is great for tethering and produces some of the best colors of any raw image processor. Sometimes Capture one will lose connection with my Canon camera and will need to be restarted to be able to reconnect. This can be a hassle if it happens during the middle of a shoot. Always be sure to back up your catalogs and sessions. Capture One Pro provides a great way for my clients to be able to review images on a shoot in a live fashion and provides me with the tools to make sure that I am providing sharp, great images. "The Professional standard for digital photography"
Capture One pro provides unparalleled raw processing power that allows for non-destructive editing outside of the Adobe Creative Suite. It's intuitive digital asset management system is superior because it can move and renames files without messy database errors. Lastly Capture One pro is the Industry standard for tethered image capturing, there is no other alternative that even comes close. There is nothing to dislike except never being able to go back to any other software for tethered capture, raw processing and file management. Please do yourself a favor and switch as soon as you can... don't ever look back. We use Capture One to standardize exported files that allow multiple photographers to output images that meet studio criteria for dimensions, quality and size. We also use capture one to color correct for accurate representation of retail products to customers. "Easy workflow which preserves the original file structure"
Quality of the files produced. Ability to shoot tethered allowing free access to the subject by clients and colleagues in real time using live view. When shooting a vertical shot the live view, the video is still in Landscape format. Not easy to judge a shoot that is on its side. It will take a while learning a new system but the investment in time will be worthwhile. Live view allows everyone to work more efficiently as a team. The ability to network the screen image and share what the camera is shooting is another good way to engage all people working on your project. Very good at team building. Better workflow ,your team feel inspired and part of a group. The team spirit pushes everyones creativity to the next level. "Best Tool for studio Photographers"
You will find everything you need in CaptureOne , its an Amazing Software with all its Features. CaptureOne is probably the best software for studio photographers , i use it everytime now for my studio shoots , and even when outside , i dont think i could ever go to another software, it has everything i need. "Must-Have for Photographers and Studios"
CaptureOne is a powerful software for camera tethering as well as photo retouching. It is extremely thorough, quick, and customizable. I dislike that there isn't a better way to organize photographs or to store a library of photographs. I suggest taking lessons or reading a thorough handbook on CaptureOne. It is a complicated software and there is much to learn in the ways of customization. I use CaptureOne on set with clients and in the studio. Once you master the software, you will never go back or be tempted to use other tethering options. "Great product, not for the novice!" Capture One Pro is a well worth it program that is a great way to assess photos directly from camera to computer. You definitely need a little bit of training in Capture One Pro to get the swing of the program. Find someone with the proper training to help you figure out what settings work for your business and type of photo capturing. Business-wise the program is extremely helpful. Hiring freelance photographers with the knowledge of Capture One Pro makes it easier to get the necessary photos without having to worry about the settings of the program changing. "Must have for any commercial photographer"
The color space in which C1 works is amazing and the ability to fix skin tones before kicking it out to Photoshop for fine tuning. Once you get the hang of it C1 is a crazy powerful tool and streamlines your work flow like no other. I recommend this to every photographer I meet because of how powerful a tool it is, and the fact it doesn't require a subscription. As a photographer I have a lot of images flowing throwing my system. Capture 1 has simplified the process and decreased the amount of time I have to put into each shoot without decreasing any quality. "Capture One Pro is amazing"
It delivers the best processed image compared to any other RAW processing software I've ever tried. Details are crisp, no "painting-like" image, fast rendering, and love the images colour too. It may hard and looks complicated at first, but just give it a try and you won't be disappointed! The interface can be customised moderately, and if you don't use lot of plugins it's totally worth it! "One of the better softwares on the market"
There are plenty of things that you can like in Capture One Pro. I like the best way how Capture One renders RAW files. I think that it can give you much better colour rendering than some other softwares. It is also fast with Canon 5D MK3 raw files, probably because it is initially made for medium format files. It has great colour balancing options as well as skin colour correction. Well there arn't too many things that I dislike... Maybe it should have a little bit better user interface and organisation tools. Try with free trails. Take a look on couple tutorials to understand how you can organise your files. When you get basic understanding Capture One everything else will be easy! I'm using it for colour correction, cropping and formatting images as well as making final selection. In Capture One I usually get final image look and mood and then I switch to Photoshop for skin retouching or so. "My go to software for image editing"
The interface is very simple. It takes time to really learn everything it does but it's very powerful and processes out great image quality. I shoot a lot of e-commerce and often times my clients don't have time to learn the software. There are way too many cache folders that get created which becomes an IT/data management nightmare. I also wish there was a better way to share images both via social networks and in the form of proofs for clients. I do like the Web Contact sheet it creates but that's hard to just send in am email. Does not do as much as Lightroom but that's sort of why I like it. It's mostly the social/sharing aspect is what I don't like about it. Pretty simple interface and easy way to edit your files during and after a shoot. Simple interface allows me to shoot, edit and process easily. I also find it easy to browse and find images. "CaptureOne makes my work life so much easier"
The quick organizational abilities of Capture One as well as its fast output of files really help stream line my work flow. The image quality of the display port is also superb and helps with quality control of the final image. Some of the functions are pretty well hidden or difficult to find. The program has so many options it can be difficult to teach someone who is unfamiliar with it. Find someone who can help ease you into the more complex features and capabilities of the program. Its amazing once you get used to it, but frustrating until then. Capture One is the most complete capture program I have used. It did have and still seems to have the best algorithm out there for raw image processing. I'm always amazed at how much info can be dug from the shadows. It's not photoshop so I have to go out and come back and sometimes that doesn't work well. It may just be my work habbits but the workflow can be tricky at times. Get it. You won't be dissapointed. It can really change the quality of your work. Not really solving problems. I'm just getting the most out of my work by using it. The better my images look the better off I am. "Use daily to shoot product photography "
Layer mask adjustment is nice. Especially now that it has shift/click to make a line. It's not Photoshop but there are benefits to being able to burn and dodge a RAW. It's a buggy program, always has been. It has gotten better through the years but the running joke is to act surprised when "Capture One has unexpectedly quit". Also that the layer masks have to be manually deleted in following exposures. Not convenient and can cause issues. Also I am not in love with the color management tab. It's not intuitive and not easy to navigate. Not that I use it a lot anyway, mostly I just click on a color checker card to set my color balance. It takes a little while to get used to navigating all the tabs and figuring out your workflow preferences but the program can do everything you need to create quality images. I am capturing products for websites and print. Usually shooting tethered and higher volumes of shots. The benefits this program gives me is quicker workflow. "The raw processor you should not miss"
Since I started learning studio photography, I love the tethering software till date. The UI (User Interface) design is terrific and I love the speed when tethering product photography. It is a lot easy to use and the raw conversion is true to colour. There is nothing that I dislike now. It depends on the individual working style and so far, nothing is bad for me. I will definitely recommend the programme to anyone. Saving a lot of time. And I love the raw processing output. This software is simply the best and fastest digital photography software available. I have been using CaptureOne software since 1999 and now do most of my image processing with it. At first I used it to process PhaseOne digital files and now use it for Nikon files. Color, shadow and highlight detail are all better than any other software that I have tried. The time that I must spend on computer work is greatly reduced. My only complaint is that the program is now so large and comprehensive that learning new modules is time consuming. Download the trial version and use their web site help videos to get started. This software solves both time (money) and quality issues. Less time and more quality goes directly to the bottom line. "Great Product for Photography Studios"
I really enjoy the quality of this program to organize images as we shoot tethered. I can organize everything as I need. The images come in fast and program is simple to use once you learn it. Sometimes it crashes which is normal for programs but quite annoying when you are trying to edit and or shoot. It a program that makes it easy for clients and crew to view the images quickly make selects and go from there you can also make presets for things to specifically processed out a certain way. Its making the work flow for the day easier. "It's an integral part of my work flow." the way it processes colours and allows you to tweak contrast on a very fine level. the fact that you can't use a colour checker card to create a profile. i get that Phase One does a lot of research into their camera colour profiles.. but as a professional i'd like to have that as an option at my disposal. we use capture one pro between two companies. one is my for my personal use as an fashion photographer and the other in a company that provides web catalogues to commence companies in india. And in both companies I've realised that Capture One Pro has made our work flow quite streamlined and there is minimal corrections we have to do after the shoot itself. "My favourite Imaging Software "
Use the trial period to change your workflow habits, Capture One is different from Adobe. Wen you get in to it, you'll find it easy and powerful. Capture ne give me the option for a more easy cooperation with post production department because of the EIP file format. "Incredibly powerful tool that revolutionized the way to process our material"
Capture One Pro gives us a versatile, simple and efficient tool where you will find endless possibilities to facilitate and optimize your work, others to give us an easy way to process information and handle between client, photograph and photographer. I do not like the way search file organization, should be more friendly way interaction with files. I photographed many people in my common everyday and I like the way Capture One Pro provides me better handling of color and achieve favorable effects in my photographs. I usually work with 120mm medium format cameras, as well as 35mm. "Worked as a photography assistant and digital tech in a fast paced exonerate company. " It is simple to understand, easy to learn and has fantastic functionality. It can be difficult to learn all the ins and outs without regular use. User friendly, very comprehensive with editing and capture tools. Naming and editing captures quickly with ease. "Architecture photography and portraits "
The catalogues and the quick way to achieve the calibration of the white point. I do not understand this question related to the software. Sorry! Tethering to Capture One Pro is quick and easy with no stress at all. You can also set a preset while photographing which is very helpful for visualizing the final product. The main thing that i disliked about this program is that it took me a while to get the general idea of the editing tools because there are just so many of them. This program is quick and easy to set up and tether. "The best capture software on the market hands down!" Ease of use and organizational ability. The ability to capture images directly from the camera and adjust them on the fly is amazing in this software. Phase one continues to make upgrades to the software and bring in new features very frequently. C1 is buggy and crashes frequently if you push it to do too much. I am looking to keep clients images organized and deliver the best images possible for my clients needs. "So essential for any Commercial Gig in NY"
Honestly the thether capture with the image correction tools his is far superior to Lightoom. The wide range of photo post processing is quite impressive. The software crashes often and the image library set up is a bit of a mess. This is a standard in the high end ecommerce/retail side of things so it offered me am the ability to work with many fashion houses. "The only raw converter for me"
There's no way of transporting saved crops from a previous version to a newer version. If there is, it has been inpossible to find in the support section, and also when I asked them about it, I got no reply. Have basic knowledge on the usage of similar software or get someone to show you around in it. I just use Capture One for tethered shooting with a Canon 5D II. I use it for colour proofing and raw converting. Also very good for producing quick contact sheets. "Is been 10 years working with Capture One"
"The best program for professional photographers"
I really like the possibility of a pre treatment for the shooting and organize and catalog the images during shooting. If you work in medium format can still take more capabilities of this program. My customers require a workflow that only capture one can offer. Fantastic program that is created perfectly for tethering in the studio!!! I like that it is so easy to capture screenshots. I can take pictures and get them in my documents with ease. The pictures also look good. It might take some time to retake the screenshot. It made it easy to put images in our documentation. Learning about Capture One Pro? * We monitor all Capture One Pro reviews to prevent fraudulent reviews and keep review quality high. We do not post reviews by company employees or direct competitors. Validated reviews require the user to submit a screenshot of the product containing their user ID, in order to verify a user is an actual user of the product. Hi there! Are you looking to implement a solution like Capture One?